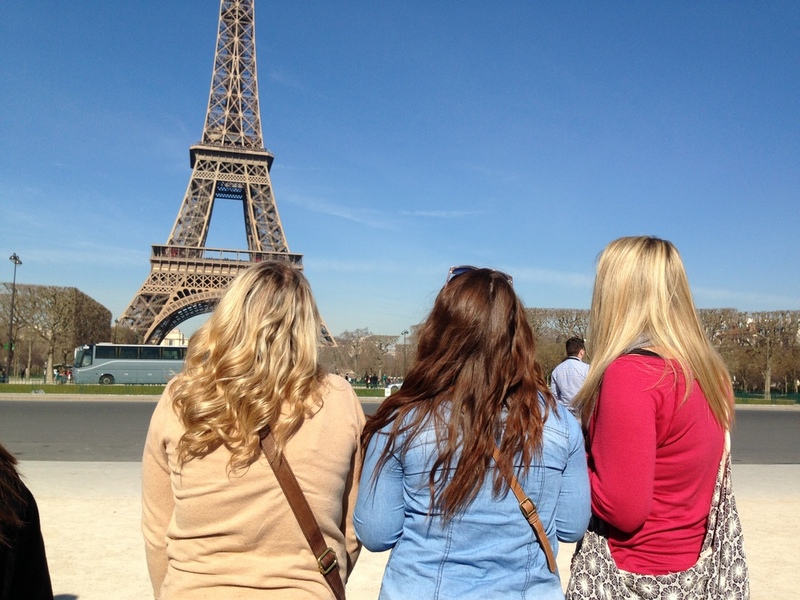 However long it took us to get there, we finally arrived in Paris! We took a guided bus tour of the city, which in general was a good way to see some of the major sights. Champs de Elysee, day pics in front of madame Eiffel, and the Arc de Triomphe. My favorite building we saw this day was the opera house. The city for me is reminiscent of a wedding cake. Strong yet delicate and filigreed at every level. I can understand how so many people have fallen in love with its decadence. I personally prefer cleaner lines and spaces, but still…I get it. The afternoon was spent walking around the Pere Lachaise Cemetary. These reminded me a lot of the ones I saw in New Orleans, clearly due to the huge French influences there. I’ve always found cemeteries very beautiful, I grew up next to one. After all, death is the only part of life we all share. One of the many in the WWII section. Tributes to the lives lost. In the evening I hopped on the chance to GO SEE A SHOW AT THE MOULIN ROUGE. The movie with Nicole Kidman and Ewan McGregor has been my favorite from the first time I saw it, and I was absolutely giddy to see the actual show. A bottle of champagne came with the ticket, and everything was just as gaudy and over-the-top as I could want. After the show, I met up with some friends to watch the lady of Paris twinkle for us. She does so the first five minutes of every hour after dark until 1:00 a.m. in the winter. Pretty magical, to say the least. And I discovered a new favorite tipsy treat: vending machine waffles. Sketchy? Maybe. Delicious? YES. One does not simply go to Paris and not go to the Louvre. So to the Louvre we went. It’s massive, to say the least. The decadent topper on the wedding cake of Paris. I honestly enjoyed the ceilings even more than the art. And I do like art (except some modern, that nonsense can be weird). 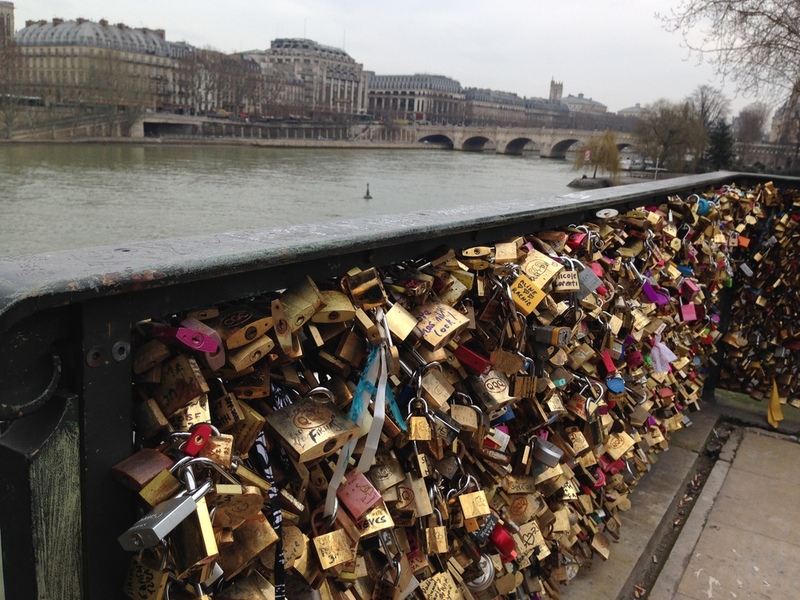 We then took a stroll crossing the famous lock bridge and along the Seine. I loved the souvenir stands, old books and posters and paintings. It just seemed much more interesting than usual kitschy stands. It was probably the books that got me…. We also stopped at a super tasty little Italian place. OMNOMNOM. 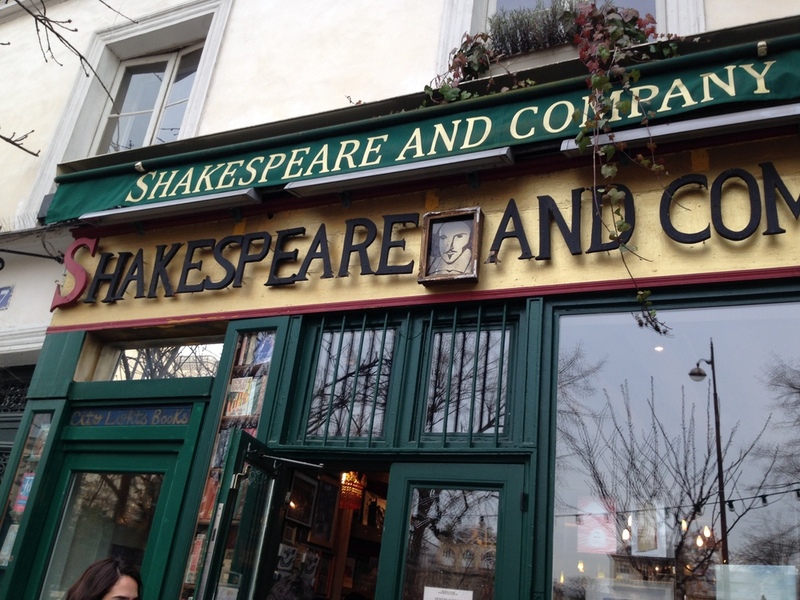 Across the street from Notre Dame is the Shakespeare and Company bookstore, famous for being frequented by the likes of Hemingway. Needless to say, I had a lovely nerd sesh there. Bought Victor Hugo’s The Hunchback of Notre Dame. Seemed fitting. And to top the day off: MASSIVE CREPE. Of the ice cream-nutella-banana-strawberry variety. A street performer on the lock bridge.